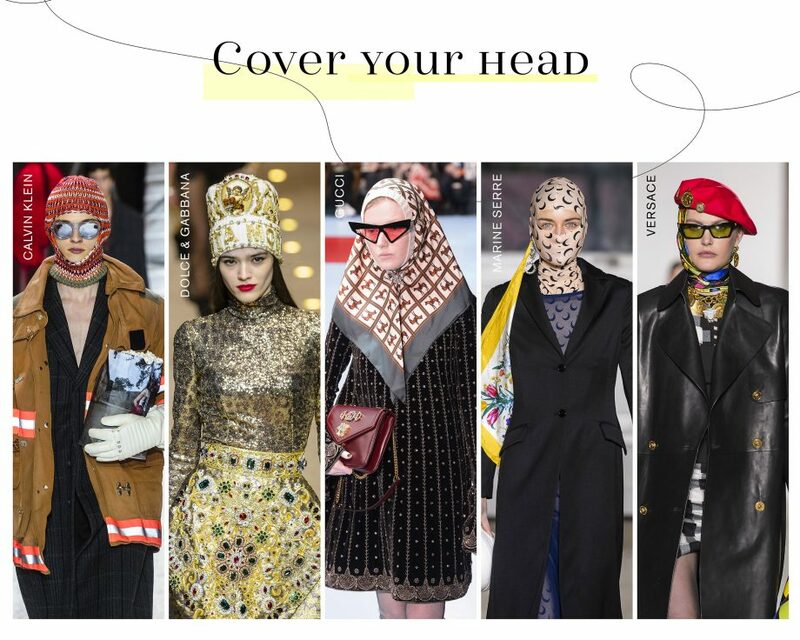 Whether it’s all about drama, a move towards the modest or just being plain toasty warm – covering your head is autumn’s biggest accessory message. Raf Simons set the tone at Calvin Klein during New York Fashion Week with standout knitted balaclavas – watch out for homages galore coming to a high street near you soon. Versace was all about the 1980s-tastic coloured beret, and the large silk headscarf is your best new accessory friend. Your mum will be so pleased. 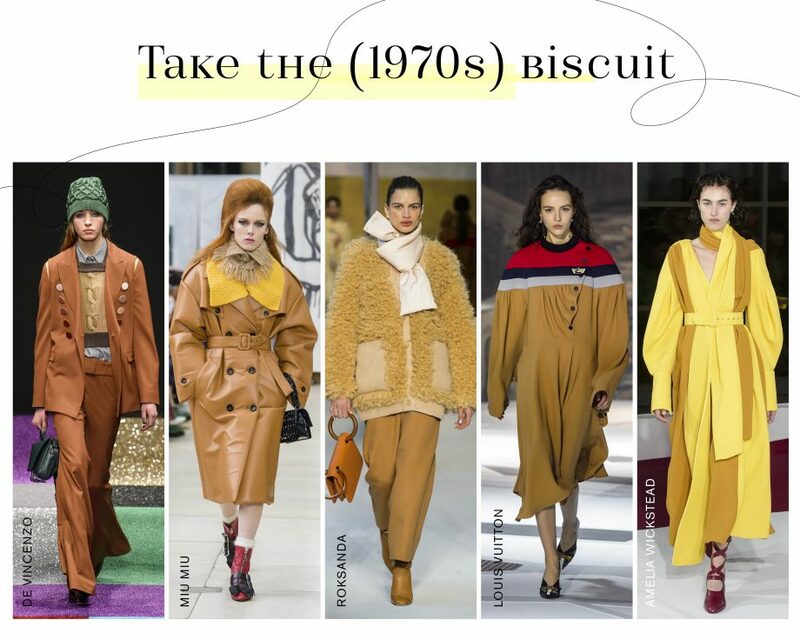 It’s the decade that won’t die when it comes to recent trends. And the sepia-tinged retro mood continues for autumn. But which 1970s character are you? Roksanda’s uptown girl, Marco de Vincenzo’s flares-wearing preppy or Louis Vuitton’s sporty jersey dress fan? Whichever way you go, remember – it has to be caramel, tan, toffee, tobacco..any colour as long as it’s a variation on camel, basically. 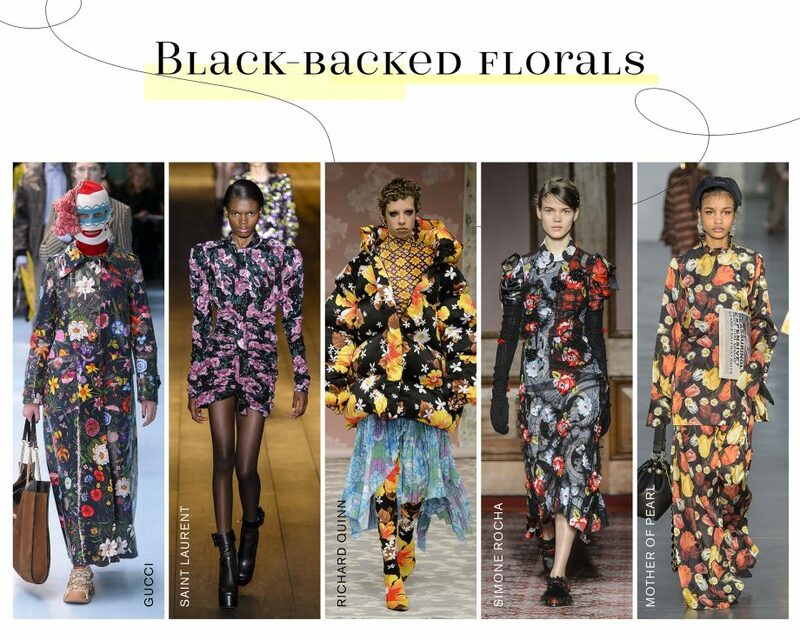 We all love a floral dress for summer, but designers are amping them up with a dark, dramatic twist for this winter too. Rendered on black backgrounds, flowers look dark and decadent – at Saint Laurent, Anthony Vacarello covered his signature micro Dynasty dresses with flowers including sequinned poppies. Over at Preen and Erdem, there was a more historical mood, with blowsy roses winding over coats and silk dresses.